My first work in the wine world was at Coco Farm and Winery, just north of Tokyo. I had left New York City a year after 9/11. Coco Farm and Winery is an amazing home to students with developmental disabilities and autism. My new home was the perfect transition out of New York City. The students work at the winery every day. There were about a dozen of us working a the winery and one of those was Yano-san. Yano-san was a salaryman in Tokyo, but every weekend he would come up to help at the winery. Yano-san eventually left his job in Tokyo and worked at Coco Farm for ten years. He and his family is now in Ohmachi, in northern Nagano. 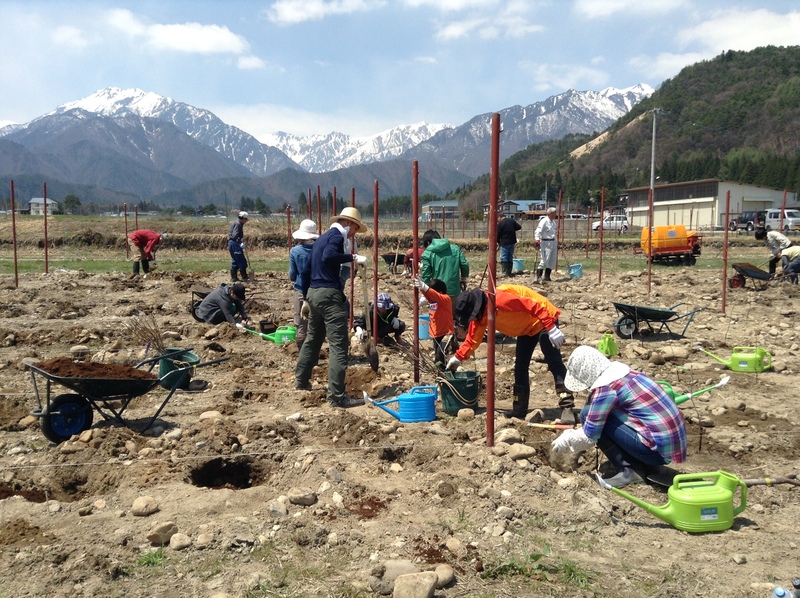 We went up to help him plant his vineyard for Vin d’Ohmachi. 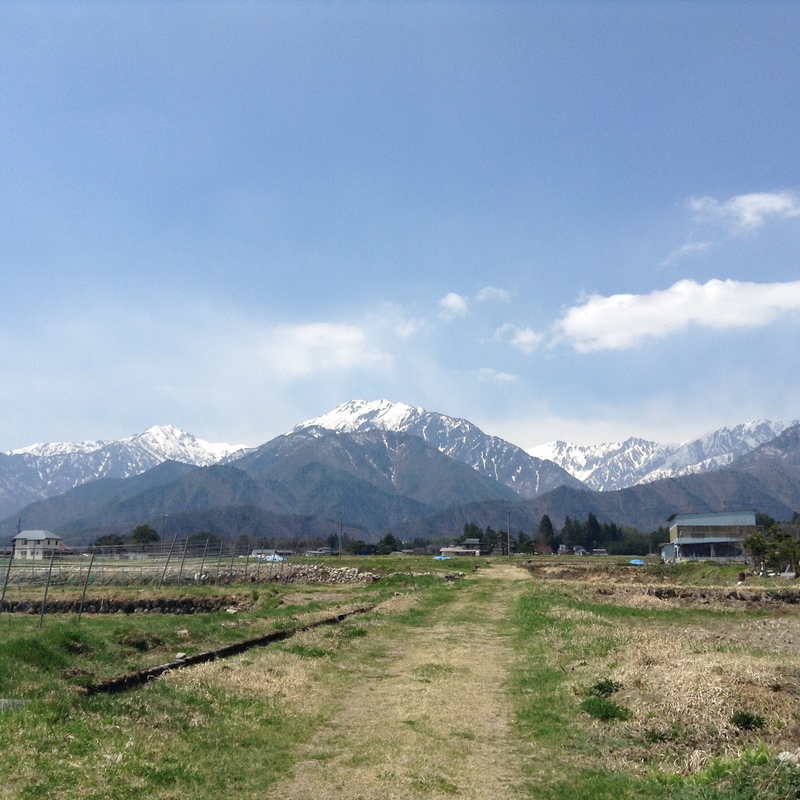 Yano-san could not have picked a more beautiful backdrop, the Kita Alps, which are in the background. There were many friends and family on this beautiful weekend to help plant the grape trees. 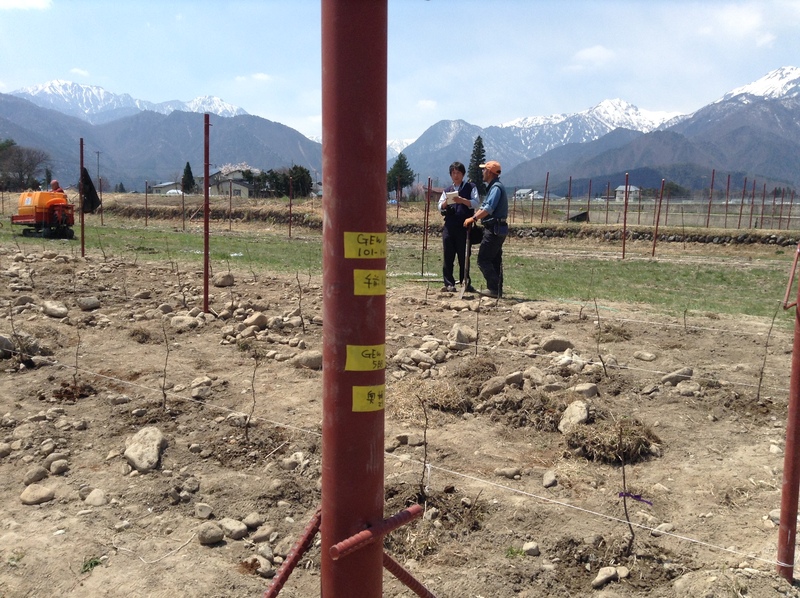 We planted gewurtztraminer and cabernet franc on this day. It was hard work as the soil had lots of big rocks in it. Good luck, Yano-san. Looking forward to someday drinking Vin d’Ohmachi with you. Here is a nice blogpost in Japanese from that day.